EU member states have postponed a vote on glyphosate after the Commission failed to gain the necessary support for its latest proposal. The re-licensing of glyphosate needs to be resolved by June 30. EU member states have failed to reach an agreement on re-licensing glyphosate, generating further uncertainty over the future of the widely used herbicide in Europe. The EU standing committee on plants, animals, food and feed, made of experts from across the member states, was due to discuss the re-licensing of the herbicide in Brussels on Thursday. However, a vote did not take place after the European Commission failed to secure the necessary support for its revised proposal to re-license the herbicide for nine years, rather than the 14 originally proposed. The Commission needed a qualified majority to get its proposal through but was unable to do so, with France among those still opposed because of lingering concerns over the herbicide’s safety, despite the approval of the EU’s food safety advisory body. 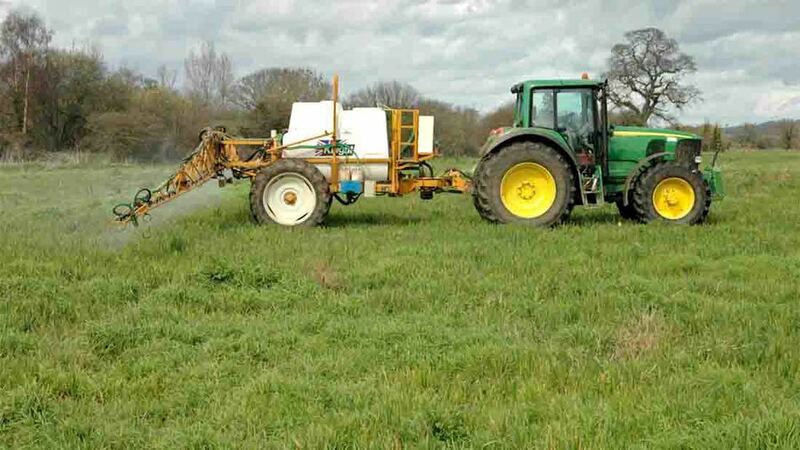 Glyphosate’s EU licence runs out on June 30. If no decision is made by then, member states will have to withdraw all authorisations for glyphosate-based products with a sixth month grace period. What happens next is unclear. The European Commission has two main options. It could put a further proposal to the vote at an upcoming committee meeting later this month or in June. Alternatively, it has the option of pushing the proposal through itself after an appeals procedure, a scenario it is keen to avoid. Either way, June 30 looms as a cut-off date for a decision to be made. In a joint statement, four UK farming unions criticised the delay, the second time this has now happened. They said: "The vote should have ended months of speculation on whether to re-approve products containing the active substance glyphosate so they could be used in Europe. "All four farming unions are fully behind the European Commission’s initial proposal for a full renewal of glyphosate and welcome the UK government’s positive stance on this too." The saga over the re-licensing of glyphosate has been rumbling on for months. The European Commission had intended to secure approval for a new 15 year licence for the herbicide in March but re-approval was opposed by Italy, France, Sweden and the Netherlands. In April, the European Parliament voted to recommend re-licensing the chemical but with various conditions attached, including a seven-year marketing period, rather than 15, restricting application for professional uses only and banning use close to public parks, public playgrounds and public gardens. The controversy stems largely from a report by the World Health Organisation’s International Agency for Research on Cancer (IARC) which concluded glyphosate was ’probably carcinogenic to humans’. The European Food Safety Authority (EFSA) subsequently published its own findings, concluding glyphosate was ‘unlikely to pose a carcinogenic hazard to humans’. Earlier this week, expert committees from the World Health Organisation and the United Nations’ Food and Agriculture Organization concluded glyphosate was ‘unlikely to pose a carcinogenic risk to humans from exposure through the diet’. The Glyphosate Task Force (GTF), which represents companies that market glyphosate said the failure of the committee to vote on the re-authorisation at this stage represented 'an unprecedented delay compared to the standard timeframe and applicable EU framework for the re-approval of pesticide active substances'. It said the comprehensive risk assessment conducted by Germany on behalf of the 28 EU Member States and peer reviewed by the European Food Safety Authority (EFSA) 'clearly concluded that glyphosate poses no unacceptable risks'. "Therefore, delays of this nature which are evident during the final stages of the process simply expose an acute politicisation of the regulatory procedure." “The GTF consider this situation to be discriminatory, disproportionate and wholly unjustified,”said Richard Garnett, Chairman of the GTF. “Ultimately, failure to follow the process appropriately and within a reasonable timeframe will only serve to seriously undermine the credibility of the EU legislative framework and put European agriculture at a competitive disadvantage,” he continued. Philip Miller, Monsanto’s vice president of global regulatory and governmental affairs, said: "Further delay in a vote by the EU Member States is not scientifically warranted and represents an unprecedented deviation from the EU’s legislative framework. "This delay undermines the credibility of the European regulatory process and threatens to put European farmers and the European agriculture and chemical industries at a competitive disadvantage." UK farming unions vented their anger at the delay, claiming there was no sense behind it and that it was being driven by politics, rather than science. NFU Scotland president Allan Bowie said: “This is a chance for the European Union to show a commitment to evidence led policy-making; the European Food Safety Authority – along with the UN Food and Agriculture organisation – have confirmed that glyphosate is safe. NFU vice president Guy Smith said: “Like most farmers who use glyphosate regularly on my farm I am nothing short of exasperated as to why this key herbicide cannot simply and quickly be given the reauthorisation that has been recommended by EFSA - the appropriate EU scientific body. "Some member states in the committee are prevaricating and wasting time when they could be taking decisions based on scientific evidence. "Glyphosate is a pesticide which allows farmers to combat weeds while supporting cultivation methods that can preserve good soil structure. NFU Cymru president Stephen James said: “The list of those confirming that glyphosate is safe for us is getting longer by the day. "Even the RSPB advocates the use of glyphosate to control bracken in the uplands in Wales and only last month, the European Parliament confirmed it should be re-authorised. "Farmers and the environment need glyphosate and it is imperative we waste no more time in re-approving it. Ulster Farmers Union president Barclay Bell said: “Glyphosate is Europe’s most commonly used herbicide and it is important that it remains as widely available to the industry as it is now. "I cannot understand the logic behind delaying a decision on a product which is proven to be safe and beneficial. Farmers in Northern Ireland will take a dim view of this decision to delay and I urge all parties to reach an agreement immediately. But environmental organisations and pesticide campaigners welcomed the move. Greenpeace EU food policy director Franziska Achterberg said:“This is the second time the Commission has failed to get the backing of EU governments for the re-approval of glyphosate. Georgina Downs from the UK Pesticides Campaign said the draft proposal submitted to the Standing Committee for the anticipated vote would 'clearly have breached' EU Regulations. It would not have been established before glyphosate is approved that there will be no immediate or delayed harm to the health of rural residents living in the locality of fields sprayed with glyphosate, she said. "Therefore glyphosate should not be reauthorised at all considering that this matter involves the health and safety of citizens, especially rural residents, across the EU."